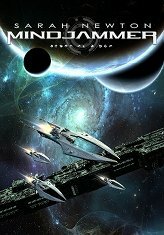 The “thoughtcast edition” pre-release PDF of the new Mindjammer adventure BLUE is now available for Kickstarter backers to download! This is a multi-session adventure / mini-campaign by Sarah Newton and John Snead set among the ruins of a near-transcendent alien civilisation, and takes your characters deep into the unknown. Here’s a landscape shot of the world of Jessila, the second garden world in the system.